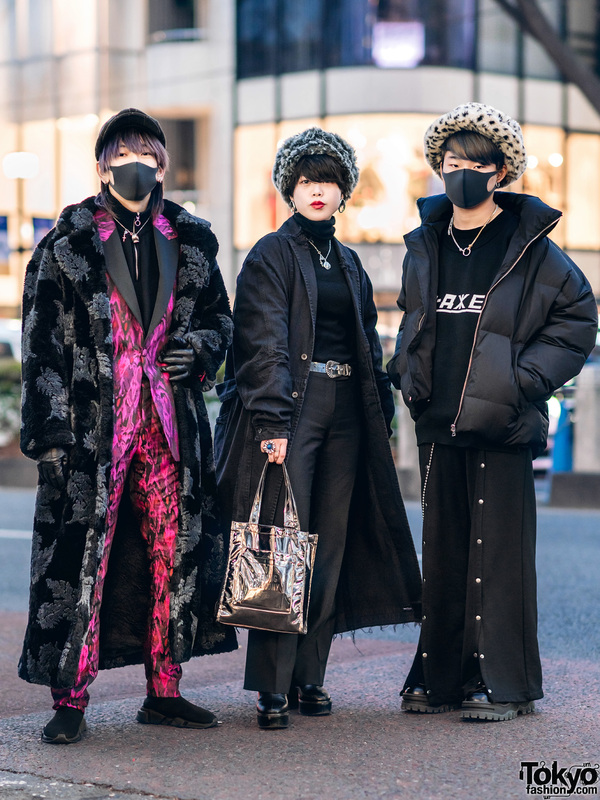 Japanese trio on the street sporting individual interesting streetwear styles while out and about in Harajuku. 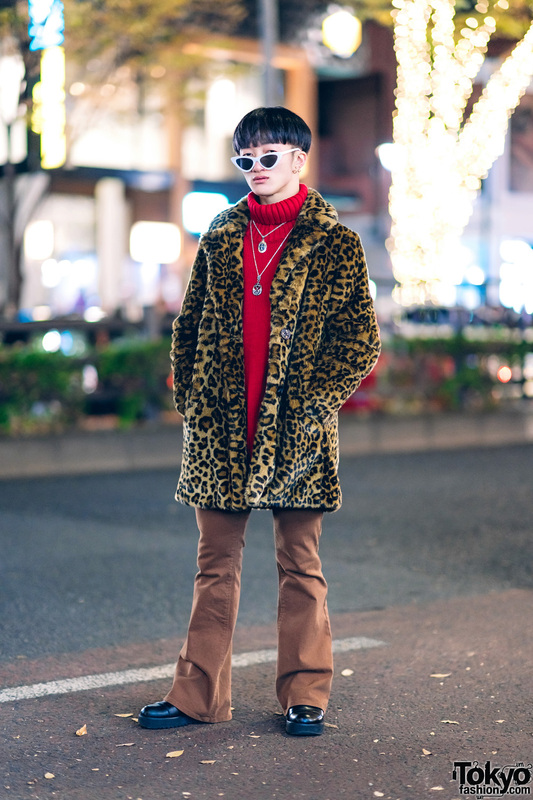 Japanese student wearing a leopard print coat, red turtleneck sweater, and brown flared pants in Harajuku. Harajuku girl wearing a chic off-shoulder outfit while out and about on the street. Japanese hair and makeup artist on the street in Harajuku wearing a ruffle crop top with high waist jeans, wedge sandals, and Hawaiian jewelry. 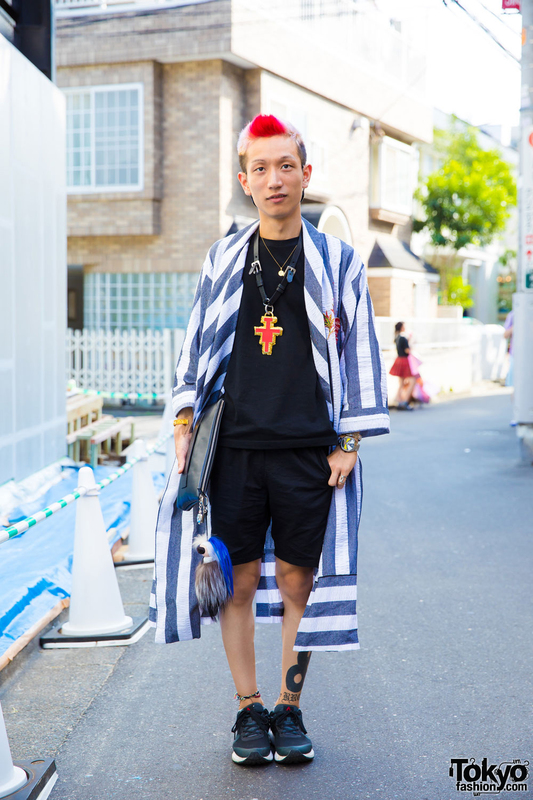 Harajuku student wearing a striped coat over a black t-shirt, shorts, sneakers, a clutch, sunglasses, layered necklaces and multiple rings. Harajuku girl with an asymmetrical black bob hairstyle wearing a tiger souvenir jacket with a pleated maxi skirt, platforms, and a box purse. Harajuku girl with short, blond hair, wearing an all black vest, t-shirt, culottes, sandals and glitter socks. Harajuku girl with green hair in denim jacket and colorful skirt, sheer bag, backpack, sheer socks and quilted shoes.